The universe works in mysterious ways. On the one hand, everything in it adheres to a precise set of physical laws. Newton's laws of motion allow for anyone or anything to go anywhere they please. In some cases, it may take some doing but you can get there from here. On the other hand, chemical properties don't allow certain parties to mix. In the Premier League era, it's become evident Chelsea and Liverpool are two such parties. That's why last week's Independent report on the Blues' alleged interest in acquiring Philippe Coutinho from Barcelona to replace Eden Hazard is, in the logical rather than emotional context of the word, incredible. The rivalry between the clubs is so strong, their respective ethe so opposed that it's thus far proved impossible for any individual to succeed at both clubs. Liverpool believes in positive football. Be it pass and move or gegenpressing, classical or heavy metal, the Reds are only on song when they attack. Chelsea defends. Even under Maurizio Sarri, the club ranks among the English top flight's most stalwart rearguards but struggles in the final third. The pair espouse opposing philosophies that simply can't abide one another. At least three individuals attempted to traverse the void between the two with little success. When the Benson/Gillette Anfield regime crumbled and the rest of the Kop's Spanish contingent, manager Rafa Benitez and midfielders Xabi Alonso and Javier Mascherano, departed, Reds legend Fernando Torres forced through his sale to the Blues. Kopites set their Nando shirts on fire in their outrage. 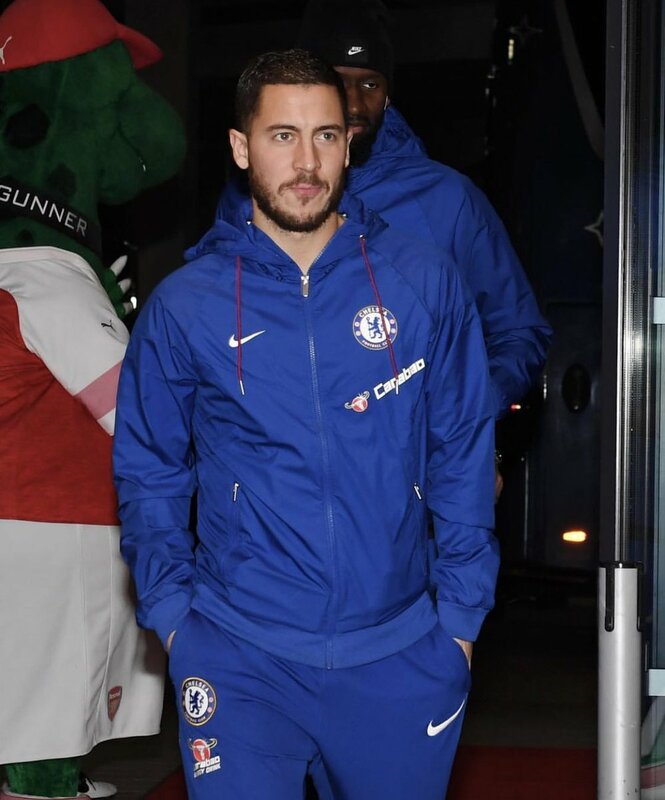 Chelsea fans welcomed the Spaniard as a major coup in the London side's bitter war with the Lancashire club. The universe was less accommodating. Torres' Merseyside form vanished en route to Stamford Bridge. In 142 Liverpool matches across all competitions, he was directly involved in 101 goals, scoring 81. In 172 Chelsea games, he could only muster 45 goals and 35 assists. His poor scoring rate was a constant frustration to supporters that eventually induced his return to boyhood club Atletico Madrid. Torres' one-time Reds manager, Rafa Benitez, made a stunning career move in taking up the Blues' reins following Roberto di Matteo's sack. To put it mildly, he was not welcome. Chelsea fans booed his presence in the player's box and technical area with religious zeal. Even so, the Spaniard delivered the Europa League title in his half-season with the team. He left for Napoli in the summer, wisdom dictating no need to discover how the angry mob would view the slightest failure. Most recently, Chelsea academy product Dominic Solanke journeyed the other way, signing with Liverpool, hoping for more playing time than the glass ceiling at Stamford Bridge permitted. Neither group of supporters seemed to mind but he may as well have stayed in London. Over two seasons on Merseyside, he made 27 appearances totalling 726 minutes, less than a half-hour per appearance, contributing one goal and one assist. In five outings with Liverpool's U23s, he picked up three strikes, suggesting that glaziers [not Glazers] can earn decent money installing glass ceilings in various Premier League clubhouses. In this January's transfer window, Solanke accepted a £19 million [per the BBC] transfer to Bournemouth. Admittedly, each and every case is unique and yes, there is a first time for everything but history has a way of consistently repeating. Talks between Eden Hazard and Chelsea may be at an impasse. The Belgian could exit Stamford Bridge in the summer, following his much taller compatriot, Thibaut Courtois, to Real Madrid. Even if hope remains that they can re-sign their talisman, the Blues should plan for all contingencies. That said, the record indicates pursuing a former Liverpool star is not the best plan. In addition, if we are to accept the notion Philippe Coutinho is no longer in Ernesto Valverde's plan in Barcelona, which demands sufficient suspension of disbelief to require a forklift, then the Blues would be rolling the dice on a player who has already failed to replace one world-class talent. He was purchased from the Reds by the desperate Catalonians when Neymar abruptly picked up stakes for Paris. In truth, Coutinho remains critical to the Blaugrana boss' strategies. Not the finisher that Neymar and Hazard are, the 26-year-old is usually content to pull the strings, creating goals for Lionel Messi and Luis Suarez. He was the playmaker the manager summoned to supply the scoring duo when a 2-0 deficit needed reversing in the Copa del Rey second leg against Sevilla. Instead, he provided the opening goal from the spot, then another on 53 minutes as part of a 6-1 pummelling. Side note: if Barca trail after the second leg in any tie, a prop bet on a 6-1 score in the second leg is advisable. As noted earlier, and to which Paris Saint-Germain will regrettably attest, history has a way of constantly repeating. Valverde kept Coutinho in the lineup for the Liga clash with Valencia and against Real Madrid in the Copa semifinal first leg, both draws. The Brazilian had near misses in each. While he still frustrates many with his tendency to fade out of games, Valverde is developing faith in his ability to reappear at opportune moments. Selling him is surely the furthest thing from the jefe's mind even if Chelsea were a club prepared to offer a healthy return on the €135 million investment the Cules have in the former Liverpool No.10. Spoiler alert: they are not. In a vacuum, signing Coutinho to replace Hazard makes sense. When you consider all the mitigating factors, however, it becomes less likely than Huddersfield staying in the Premier League beyond this season.